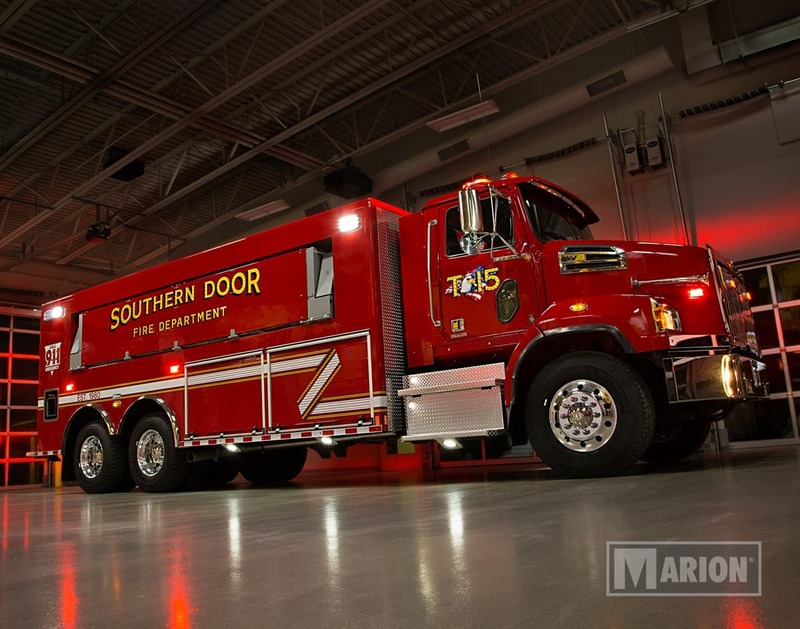 Engineered for NFPA compliance. Designed for optimum performance. 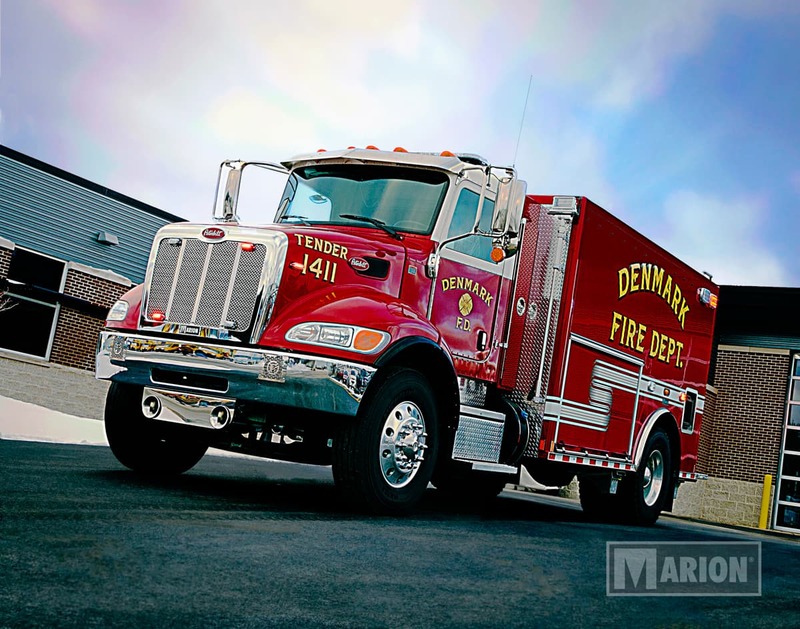 Every feature of a Marion tanker helps make your team more efficient and effective: flush, snag-free doors; high temperature wiring; reversible lip or no-lip shelves; catwalk overlays; removable rear steps. Achieve greatness with a Marion. 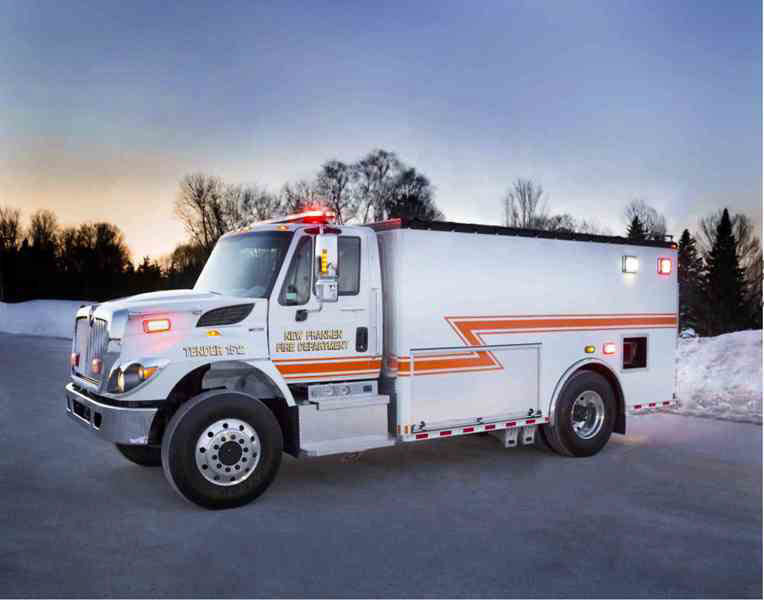 Design that stands out—Unique attack line and “pump and roll” capable designs maximize truck usage and stretch budget dollars. Convenient compartments—Low side-body compartments make access and storage of equipment easy. Smart wiring—Multiplex wiring is standard and makes troubleshooting easy; we also provide “as built” wiring diagrams specifically for your apparatus. 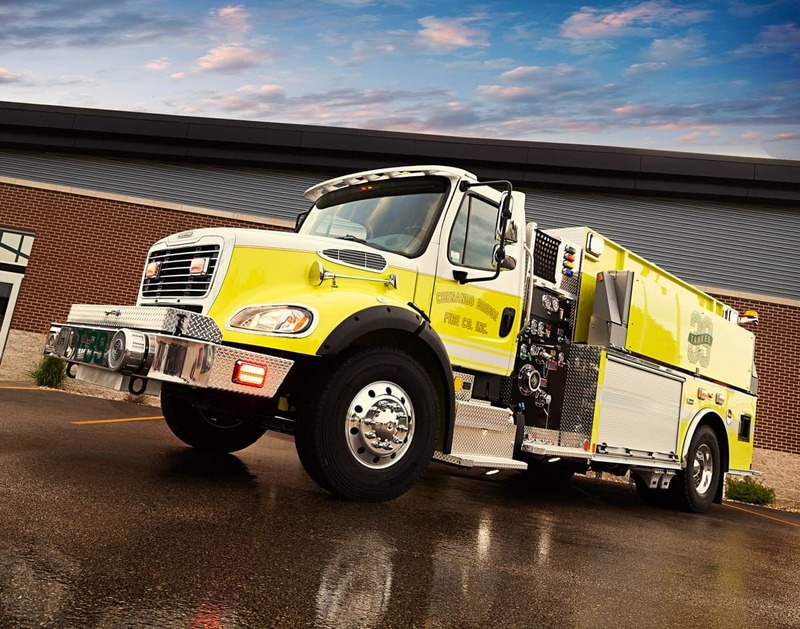 Drive assured on a solid foundation by choosing the chassis to form the base of your Marion tanker with a custom (Spartan) or commercial (International, Freightliner, Ford, Kenworth or Peterbilt) chassis. You control your water dump—you can select from manual, air, electric or one 3-way. 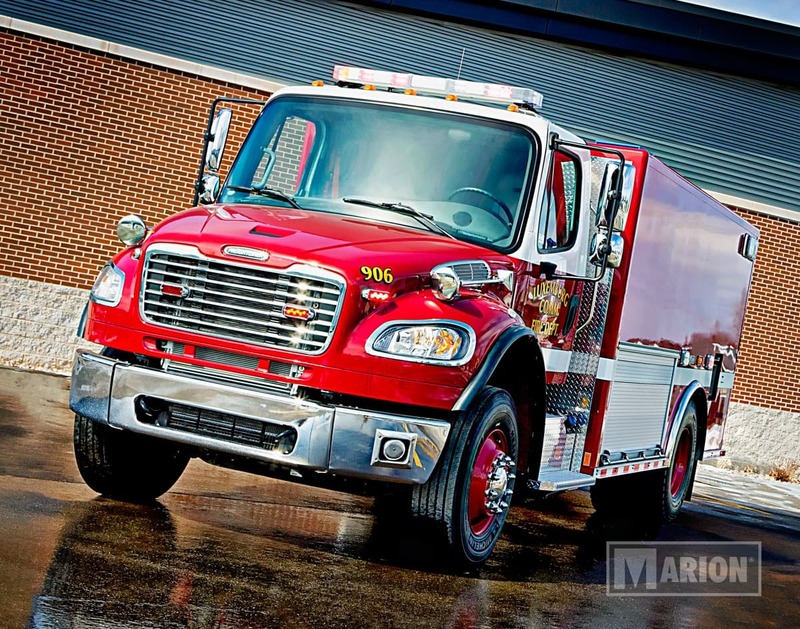 Fight fires with your right-sized tank with polypropylene tanks ranging from 2,000 to 3,500 gallons with a lifetime warranty. Make an impression with your corrosion-resistant body—construction is fully extruded, all-aluminum construction, including an integrated sub-structure.